The Upair One Drone is one of the most affordable 4K camera drones currently on the market. The 4K camera is stabilised by a gimbal for smooth video footage and has a 120º field of view. It can transmit live video feed up to 800m away and the overall control range is around 1000m. One of the advantages this drone has over other high-end drones is that it comes with a 7-inch LCD screen for HD FPV capability. No need for your own smartphone or tablet. There is also a cheaper version that comes with a 2.7K camera. Looking for a budget 4K drone that can take awesome aerial photography? 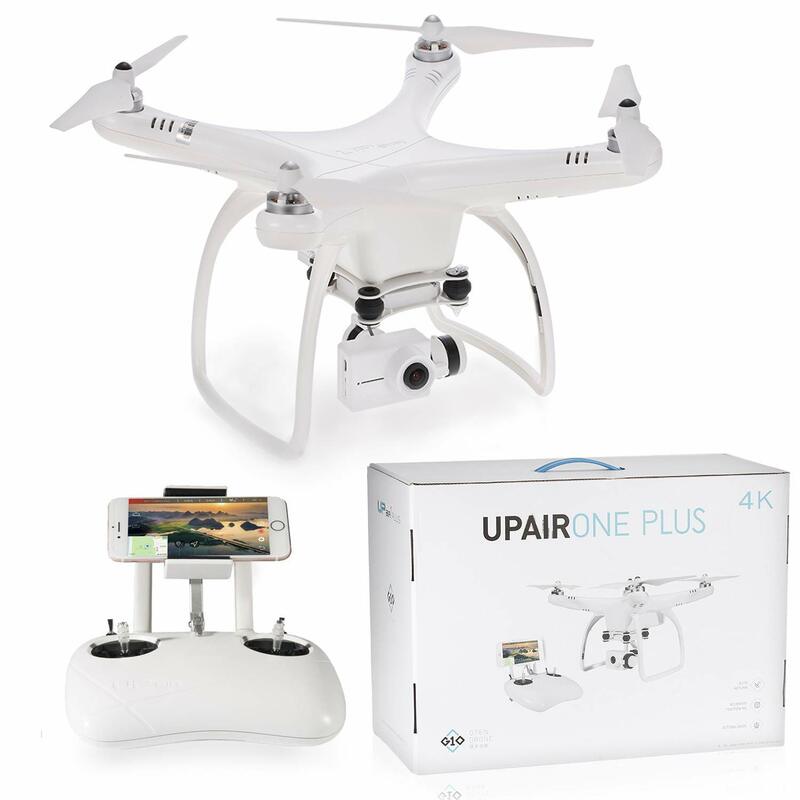 The Upair One Drone is perfect for you. Hi,welcome to my review of the Upair one drone, does the drone look familiar to you? If it does it’s probably because it resembles DJI’s Phantom 3 range not just in the aesthetics but also features wise. With DJI running away with the lion’s share of the consumer drone market,their rivals have to look at new ways to close the gap and what better way is there other than try and copy them? Yeah, there are other ways like, being innovative and coming up with new features but that requires a big budget for R&D purposes and no one in the consumer drone market has a bigger R&D budget than DJI. The Upair one drone not only looks similar to its DJI rivals, but it also has many of the awesome features like HD camera with gimbal,FPV capability,headless mode for easy flying and automatic return home function so losing your drone is minimised. 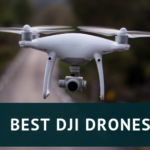 Many times competitors make cheap knock-offs that don’t last,but that isn’t the case with the Upair one drone,this is a fantastically built drone,brilliant for aerial photography but doesn’t come with a huge price tag. I want to start this review of the Upair one drone by mentioning its standout feature, which is its HD camera. The drone can be purchased with either 2.7k camera or a 4k camera, the 4k camera will cost an extra $50 or so. It really shouldn’t matter what camera you get unless you are a professional photographer because both these cameras shoot in HD. The price for drones with 4k cameras are usually around the $1000 mark!! The drone can take still images at 8mp with the 2.7k camera and at 16mp with the 4k camera. On a side note,the 2.7k camera is fitted with a Sony CMOS sensor while the 4k is fitted with Panasonic sensor. These are well known electronic companies so you will be confident that th camera will be of a high standard. Both do their jobs well and with its 120° wide angle lens, you don’t have to worry about missing a shot. The camera is stabilized with a 2-axis gimbal, not as good as a 3-axis gimbal but still, it will eliminate any sudden shake which may distort the image or video footage. The camera is really the standout feature in this very good drone.Other drones with this kind of camera sell for a lot more, so the 4k camera alone makes this drone a bargain at its price. The other standout feature of the UPair drone is easily its controller. The UPair’s remote control features a 7-inch full-color LCD display screen. 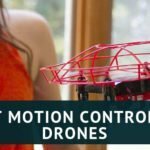 This allows you to not only easily control your drone, but also get a first-person view of everything it sees. I have always wanted DJI to produce their own touchscreen controller,it’s so much more convenient than to attach your own tablet or smartphone. 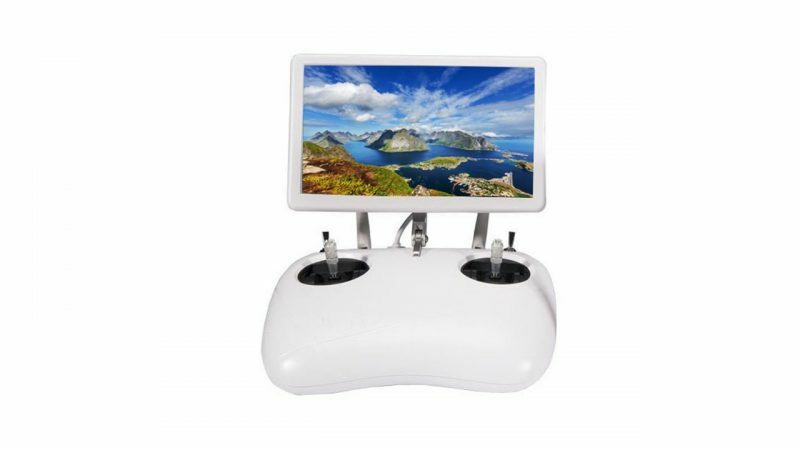 Another cool feature that comes with the LCD display screen remote controller is you don’t need to download an app to view videos or control the drone; everything you need is right there, built-in. It has a dial on its top right to control the gimbal and two buttons for shooting and recording images and videos. The official manual says it has a range of over 600m but normally it is a bit less than what is stated by the company, so please be aware of that. The return home features on the Upair one drone deserve special mention on their own, because not only is it a safety feature but it also preserves your battery. The controller has a switch that will enable the return home function, the drone will also return to its flight of origin if the battery is running low or if you lose signal. These features are designed to make operating a quadcopter easier for beginner pilots and hobbyists. 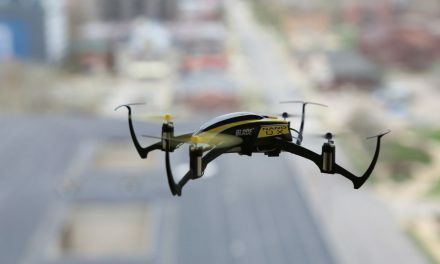 They are also designed to minimize the risk of losing your drone during flight, losing drones is always a possibility, especially those drones that are not in the line of sight. Aside from the various return home features, other ease of use features includes headless mode, which makes piloting a drone more natural and intuitive, position hold and altitude hold, both of which enable easier aerial photography which is one of the main reasons many will look to purchase this drone. The UPair Quadcopter has a sleek, slightly futuristic appearance that will appeal to just about any demographic of drone enthusiast. But, since looks aren’t everything, I was eager to see how this baby actually functions. First off, I’m a big fan of the 7-inch LCD display screen. It’s a much more intuitive way to control your drone, with a big 7-inch screen that feeds live images of what the drone sees, it truly is an amazing feature. Flight itself is very easy thanks to headless mode. The auto return features are very solid and definitely make for much easier use for beginners. As for video quality, the first-person views are stunning. The video is crystal clear and there’s no detectable choppiness. Like I mentioned near the beginning of this review, you can get the Upair one drone with either a 2.7l camera or 4k camera. As someone who enjoys casual photography I’m only concerned with what my eye can see and this drone takes stunning images and videos with both cameras. Just like the DJI Phantom 3, the Upair One drone uses intelligent Li-Po batteries,this gives it the ability to stop overcharging, has 4 LED lights to show when batteries are charged or running low and provides a longer flight time. Th official statement for flight time is around 19 minutes,usually, you will get some a bit less than what is stated by the company. Most people will get anything between 16-18 minutes. This is still very good drone in this price range and the features it comes with. However,19 minutes is never enough to fly a highly sophisticated drone, this is why I always stress the need to buy extra batteries. The UPair one drone has a lot to like about it. If you are looking for drone for aerial photography but do not have the budget for the likes of DJI or Yuneec,then the Upair one drone is perfect for you. 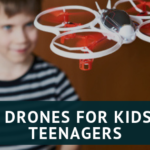 The built in GPS system makes it easier to fly and hover which is great for aerial photography and with a maximum speed of around 31mph this drone is pretty fast. Its 4k camera along with the 7-inch LCD screen on the one drone controller will give you a fantastic flying experience. It has some faults, the camera video sometimes fails and the gimbal needs more work because many people have complained that it doesn’t tilt properly. It also doesn’t hold up well in windy conditions. 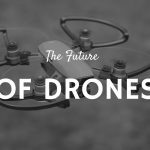 With that being said, this is a great drone from an emerging company and I am sure as its popularity rises, these small issues will be resolved. Comes with an HD camera stabilized by a 2-axis gimbal, fantastic for aerial photography. 7-inch HD screen with the controller, for crystal clear images and video footage. Some of the batteries have had defects (not a lot, but still). This can be an issue with any battery, though; luckily, UPair’s customer support is very helpful and will make good any batteries that arrived defective. Doesn’t hold up well in windy conditions and signal is occasionally lost even within the officially stated range of the controller. This is really cool. I love drones. Me and my friends love going out in the field and just seeing who can fly the best. I personally own 3 of them and looking to buy a couple of more. All of the drowns that I have is just standard flight, none of them has a camera. I always been skeptical about the drones with cameras, thinking it wouldn’t be clear enough. But my friend just bought one, and its awesome. So i’m in the market for one and I think I just found exactly what I’m looking for. How long is the flight time? Great review, very helpful. You would surprised by what drones are capable of nowadays, the Upair one drone is fantastic and pretty cheap for drone with 4K camera. You can get around 19 minutes with this drone, I always say to those looking to purchase a drone for the first time to buy extra batteries because the flight time is never enough. The Upair One Drone looks like a very good drone for the much smaller price than the more common brands. I would love to have a drone to film drive-by’s with my car and to see the nature around our house from the air. So far I haven’t put money in it yet, but it is definitely something on my list. But I wondered, how easy is it to fly a drone? Would it easily get taken by wind? What happens when it gets out of its bounderies / reach? Will it drop from the sky or return to the home point?